Hello everyone! We found some marvelous center tables and wanted to share them with you today. 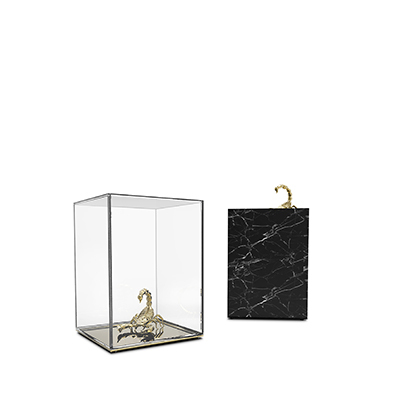 These creations come from Francis Sultana, an interior designer based in London. Both Francis’s furniture designs and his interiors favor the key periods of the 1920s and 1930s, his work is known for his use of noble materials such as bronze, rock crystal and straw marquetry. 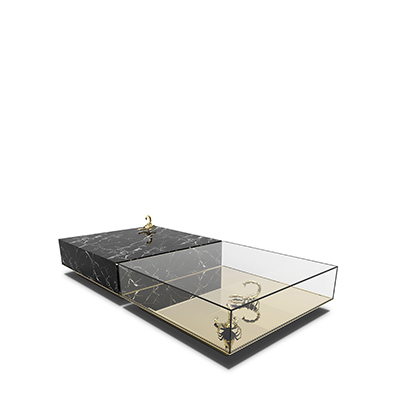 To start with, we have the Maxi Coffee Table, made of patinated bronze and fused cast glass. One of Sultana’s best design. We ca have a look below at the way he designs interiors and his use of a unique center table. The combination of materials, decorations and furniture make this living room a truly exclusive design. Using various furniture design, his creations are rich in living room ideas. He uses multiple luxury brands products in order to set up a unique atmosphere in each room and home. Alongside the interiors projects, the atelier also produces annual collections of bespoke and limited edition furniture and textiles under the Francis Sultana brand. 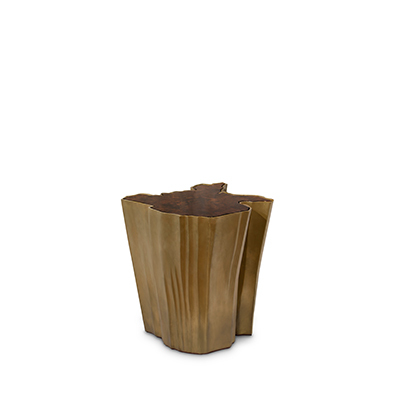 Here is another creation of his, crafted with patinated & textured bronze, lacquered straw marquetry, and glass. The result is beautiful and we are loving it. Francis Sultana is the go-to interior designer for international collectors, many of whom have major contemporary art and design collections. 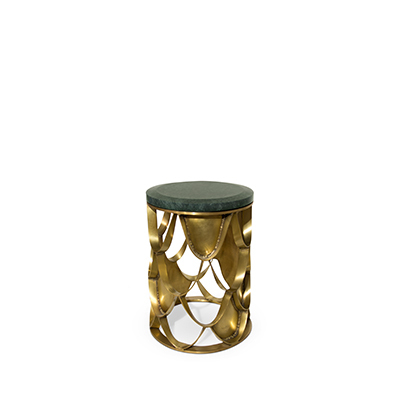 Below is the Baku table, in patinated &textured bronze, lacquered straw marquetry, and glass again. Once again in patinated bronze and glass, Sultana’s favorite materials, we have the Ricardo table with a simple yet beautifully designed aspect. 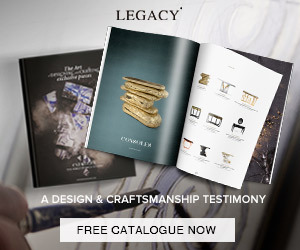 The studio strives to support artisanal skills and techniques from around the UK and Europe throughout their work. For more inspiration, read our article about tables and lighting design. 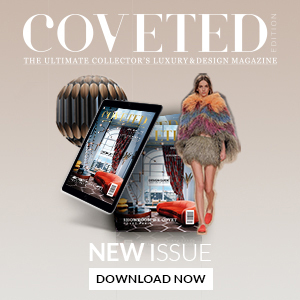 One of only a handful of UK designers to be featured in Architectural Digest’s AD100, Francis Sultana is cited as one of Wallpaper’s Top 20 Interior Designers and is listed on House & Garden’s Top 100 and in AD France Top Interior Designers annual list. His properties are regularly featured in magazines all over the world. He was the only British designer invited to join AD Collections 2017 in Paris. This last piece of him, an square divided into 4 smaller ones, is named the Jordana table and will be a wonderful pick for any designer or luxury interior. Guess the materials? That is right, patinated & textured bronze, lacquered straw marquetry and glass! 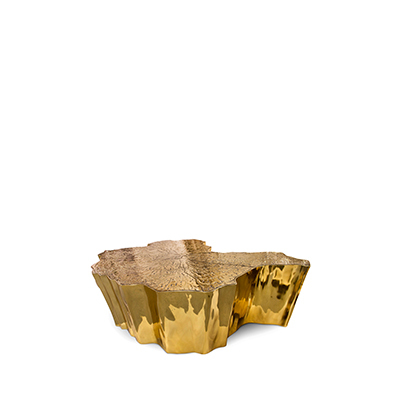 Ultimately, we have another pick for center tables in your home: the Empire Table by Boca do Lobo, from Portugal. A statement piece for your interior, with delicate finish and carefully picked materials. We can admire it underneath in a gorgeous living room, surrounded by other high-end furniture. That is all for today, but make sure to come again for new articles and advice for your beloved interior!